A Look at the 2011 North Shore Real Estate Market! 2010 has been a great year, and I have enjoyed living and working in the North Shore as a North Shore Real Estate agent. Although the national housing market has seen its share of highs and lows over the past year, the North Shore Real Estate market has held steady and will only continue its upward climb to full recovery! 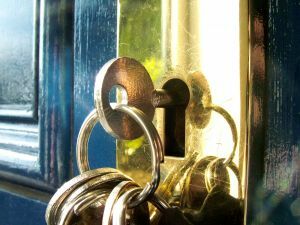 A recent article by Inman News gives insight into where the market is headed for 2011. While there is still room for improvement, you’ll see how the national market is slowing gaining its strength, and that this coming year offers a great opportunity to buy in Chicago’s North Shore! 1. Prices May Still Drop- With more foreclosures expected to come on the market in 2011, selling your North Shore home means being willing to price competitively. 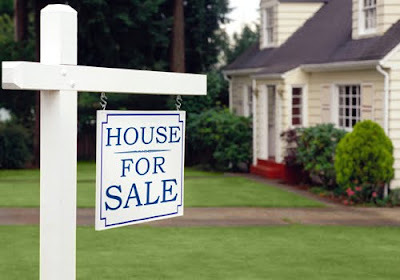 A report published by Standard & Poor’s notes that home prices may still drop another 7-10% throughout the coming year. 2. Smaller Homes- Gone are the days where people are buying large homes for the sake of having a large home. North Shore buyers are more conscious of smart investing and don’t feel the pull to buy beyond what they need. Many are also more aware of the environment and the additional costs related with heating and cooling a larger home. 3. Jobs Play a Major Role in Housing Recovery- The housing recovery for the next few years will rely heavily on the job market. With unemployment rates still projected to remain above 9% for 2011, full recovery for the housing market is not expected until 2012. 4. Mortgage Rates Remain Low- While mortgage rates may rise slightly; they are still expected to remain under 5% for 2011. This is great news for those looking to buy a North Shore home- 2011 will be a great year to do so! 5. Long term Goals- People are no longer just thinking of a house as an investment to turn around and sell to make money on; they’re beginning to think more long term. North Shore buyers are wanting to buy a “home” as a means to provide for needs of family and loved ones and are wanting to stay put for as long as possible. If you have been considering a move to Chicago’s North Shore, but wanted to finish up the holiday season before starting a new endeavor; let me know! As the New Year rolls in, the market will begin to pick up, so you’ll want to start your North Shore home search early in the year. There are many beautiful homes to choose from in Winnetka, Glencoe, Northbrook, Highland Park, Deerfield and other North Shore communities! I would be happy to show you around and help you with each step in the home buying process. Please feel free to contact me anytime! Enjoy an Eco-Friendly Winter Season in Chicago's North Shore! Living in Chicago’s North Shore means being a part of communities that truly care about the environment in which we live. From Glencoe to Winnetka and Northbrook to Highland Park and Deerfield; these North Shore communities take time each year to host events, and offer ways to get involved in helping to protect the environment. As we’re in the middle of this season of giving with Christmas only a few days away; you may be thinking of ways to “give back” to the North Shore. One great idea is to recycle your Christmas tree! While you may not want to think about putting away your holiday cheer just yet; this service offered by many North Shore communities will gladly take your Christmas tree recycle it into mulch to be used around the city! Looking for ways to go green in your North Shore home? Below are ways to “give back” by reducing your energy usage at home. While these may seem like small changes; they can produce big results! Not only will you save on your energy bill, you’ll enjoy knowing that you are doing your part in keeping your environment an eco-friendly place to live. 1. Set the Timer- Set your thermostat to lower temperatures while you’re away from your North Shore home or while you’re sleeping. This will automatically help reduce energy used as well as costs just by programming your thermostat. 3. 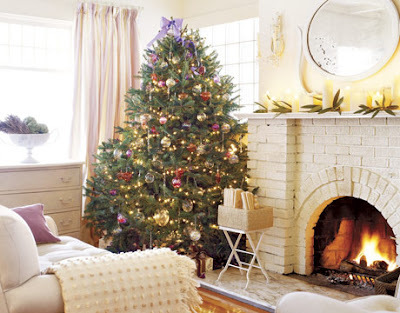 Light a Fire- It’s amazing how a fire in your fireplace can heat up a room instantly! Consider lowering your thermostat on cooler evenings and lighting a fire instead. You’ll instantly feel cozier in the midst of Chicago’s chilly winters. 6. Stop Leaks- Check all doors and windows for drafts. You can easily seal windows and doors to prevent the warm air from your North Shore home escaping while making sure the cool air doesn’t leak in! I hope you can implement these tips or that they spark more ideas of ways you can reduce how much energy your North Shore home uses. I feel strongly that each of us can do our part, whether you’re a current North Shore resident or considering buying a home in Glencoe, Winnetka, Deerfield, Highland Park or Northbrook; we can all do our part to keep our environment healthy. As you begin thinking about the start of a New Year, you may be considering selling or buying a home in the North Shore. If so, I would love to help you each step of the way! I have years of experience in the North Shore Real Estate market as a North Shore Real Estate agent, and can make the process as smooth and efficient as possible. Feel free to contact me anytime! I appreciate your interest in my blog and my North Shore Real Estate services! 2010 was a great year and I’m expecting more great things for 2011! Give Back This Holiday Season in Chicago's North Shore! The holiday season in Chicago's North Shore is filled with beautifully decorated North Shore homes, endless events, concerts, and of course, shopping! And, while we all enjoy the festivities that Christmas brings; we all know there is so much more to the meaning and spirit of the holidays. Giving back is a great part of this joyous season and there are many ways to do so! The North Shore has many opportunities throughout the year to volunteer and give back to its' communities of Winnetka, Deerfield, Glencoe, Northbrook and Highland Park. Each city understands the importance of helping out those in need within the community, especially during the holiday season! I've compiled five various ways of giving back in hopes of spurring on some ideas for how you can get involved and spread Christmas cheer this season! 1. Donate- Now is a great time to go through your closets and donate any clothes or shoes that you no longer need. Toys that have been outgrown, books and games can also be donated to various organizations around the North Shore communities and provide those in need with things they need and can use for gifts this season. 2. Volunteer- Many organizations in the North Shore are looking for additional help over the holiday season! Soup kitchens, retirement homes, homeless shelters and many others oftentimes host holiday parties or round up food, clothing and toys for those who are without this holiday season. Gather a few friends or family members to join you! 3. The Gift of Giving- Instead of buying another gift for a family member that they don't need; consider donating a gift on their behalf. Letting them know that one of their gifts went to someone with no Christmas gifts can be a very fulfilling gift! 4. Go Green- Give back to the North Shore environment by cutting back on the energy and resources you use this holiday season. 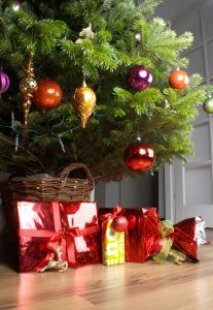 Choose LED Christmas lights, wrap presents in recycled brown paper bags tied with festive string, turn down your thermostat and use your fireplace for added warmth and a cozy environement. 5. Feed the Hungry- The next time you go grocery shopping, stock up on canned goods and other non-perishable items that can be donated to a food pantry or homeless shelter. Gather with friends and family and put together Christmas food baskets that include cookies, hot chocolate, and other festive foods then donate to families you know who are in need or to a local shelter. Ready to give back? There's a great opportunity taking place this weekend in the North Shore community of Deerfield! This Saturday, December 18 from 10am to 2pm is the Deerfield Food Pantry and Toys for Tots Drive Through Drop-Off Day! Any new, unwrapped toys, canned food, personal care items and cleaning supplies can be dropped off at the parking lot at NWC Rosemary Terrace and Deerfield Road. The toys will be given to children in need and the food and other items will be given to families, seniors and children in the Deerfield community who are without these items this holiday season. This events is sponsored by the West Deerfield Township, Deerfield Police Department, Marines - Toys for Tots, Deerfield Shopper's Court, Deerfield Bank & Trust, Italian Kitchen and Mutual Ace Hardware of Highland Park. There are many other ways to get involved and give back to your North Shore community this festive season! One of the great things about living in Chicago’s North Shore is the heartfelt community spirit that each city provides. If you have been considering a move to any of the North Shore communities; please let me know! I’d be happy to show you around the available North Shore homes and answer any questions you may have about the North Shore Real Estate Market! I look forward to hearing from you! House Hunting This Holiday Season in the North Shore! Buying a home in Chicago’s North Shore during the holiday season may seem like the last thing you would want to do. The hustle and bustle of the season has you running from shopping to parties and special events, and the thought of adding one more thing into the mix may seem overwhelming. 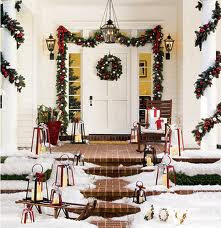 However, the holiday season can be the ideal time to start searching for your North Shore home! 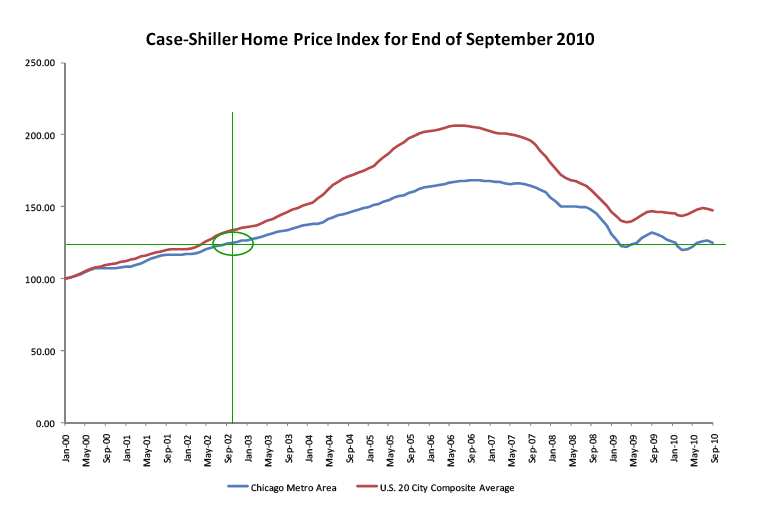 According to a recent Case-Schiller report; the price of homes in the Chicago Metropolitan area seem to be holding. The past year has shown some upward ticks followed by further price reductions, but we are now where we were in October of 2002 before the market’s downturn. With the market beginning to balance out; we can rest assured that buying a home is once again a financially sound decision. 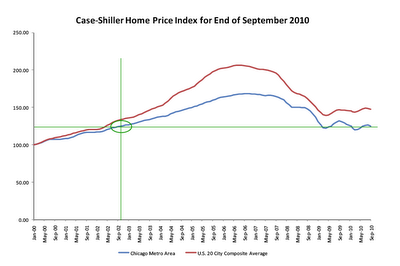 Below you’ll see the course that the Chicago Metropolitan area market has taken over the past ten years. (Please click on image for larger preview). So, with the market improving and the holidays upon us you may be wondering why now would be a great time to jump into the North Shore Real Estate market. I’ve gathered 5 reasons that can make this holiday season even more special as you begin searching for a home in Chicago’s North Shore! 1. Lower Prices- With the lack of people searching during the holidays for a home in Chicago’s North Shore; we’ve seen the prices soften. 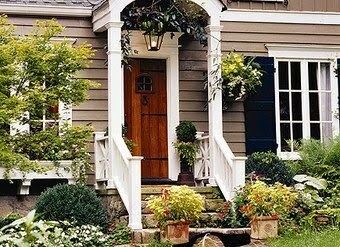 You can visit my website, www.janiebress.com to see a list of my current homes for sale in the North Shore! You’ll notice these homes are priced to sell and are a great deal for buyers. 2. Less Competition- Many buyers don’t think to take advantage of house hunting during the holidays, so you’re sure to avoid any bidding wars that would occur at a peak point in the North Shore Real Estate market. This will mean a less stressful home buying process for you! 4. Favorable Mortgage Terms- Mortgage lenders may be willing to lower interest rates or let go of some of their fees in order to gain your business. With fewer people shopping for homes; they will be experiencing a slower time in their business as well. Be sure to shop around to get the best possible deal. While it may not seem convenient, taking the time to find your ideal North Shore home now can prove to be a stress free and cost effective decision! If you have your eye on a few of the beautiful homes in Glencoe, Highland Park, Northbrook or any of the other charming North Shore communities; I'd be happy to set up a time for you to see them! As a North Shore Real Estate agent for over twenty five years; I can help you find the community and home that best fits your needs and lifestyle. Feel free to contact me anytime with questions you may have regarding the North Shore Real Estate market or to begin your North Shore home search! I look forward to hearing from you! Bringing in December Like only the North Shore Can! It's official. December is here! The North Shore is the ultimate place to be for the holidays. There is always an event of some sort - whether it be extravagant or intimate, for adults only or family friendly - the fun does not stop come December. 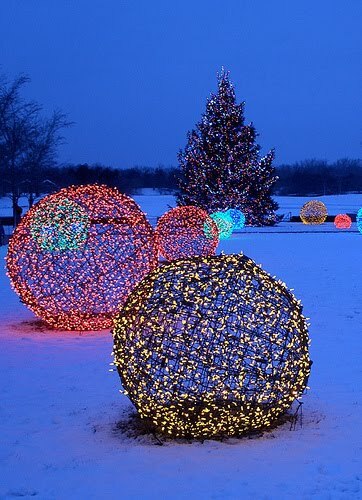 Here are just a few ideas of how to get involved with the holiday festivities in your North Shore Communities - From Glencoe to Glenview, Northbrook to Winnetka. Event: A buffet with miniature cinnamon rolls, seasonal fruit, scrambled eggs, turkey sausage links, hardwood smoked bacon and buttermilk waffles﻿. 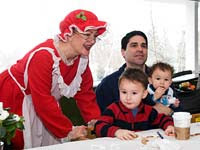 Event: Listen to Christmas stories recited by Mrs. Claus while sipping hot chocolate and snacking on holiday cookies.﻿ The event also runs at 2 p.m. Event: A special holiday concert at the Y features the Northbrook Symphony as well as a range of professional dancers and multi-media presentations. 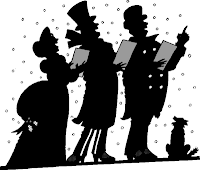 Selections from the Nutcracker Suite will be performed on December 11 at 3:00 and 6:00 pm. The various sections will showcase different program opportunities at the Y, including a wide variety of dance genres, yoga, gymnastics, swimming and fitness. Admission will benefit the Y's Capital Campaign. Don't miss this one-of-a-kind celebration of music and movement! Event: Kids of all ages can spin dreidels, have their pictures taken as Juda the Maccabee, do arts and crafts, play a Chanukah game show and snack on latkes and jelly doughnuts. Event: Start a warm, crackling fire; light the tree; and play some old familiar carols as you welcome your guests for a special holiday dinner. Experience your holiday tradition in a whole new way with our inspired, sophisticated and festive menu. $99. Type: Performing Arts. 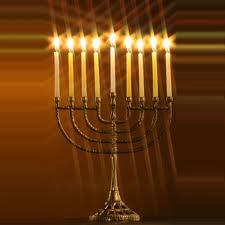 As cliche as it may sound, the best thing about the holidays is spending time with family and friends. North Shore Real Estate is one of the most family-friendly, tradition-rich, close-knit areas in Illinois. 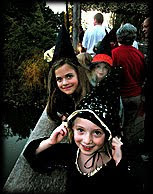 There's always something to do and each event is another opportunity to begin a new tradition with your family or friends. Communities like Winnetka, Illinois and Glencoe, Illinois are the kinds of places that people dream of living. They offer the perfect background to the holidays - from the beauty of the shoreline to the picturesque residential neighborhoods - they are like something out of a Christmas card. If this sounds like the kind of community you'd like to live in, I can help make that dream a reality. Give me a call, anytime. I'm always here to answer your questions about theis dream home real estate known as the Chicago North Shore. Another Look at the North Shore Real Estate Market- Is Now the Time to Buy? Buying a home in the North Shore Real Estate market, or anywhere for that matter, may seem like risky business amidst our current recession. Since 2005, the market has seen a slow decline which has brought us into our current housing situation. It’s hard to wade through a sea of Real Estate information to get a clear picture if diving into a North Shore home purchase is the right choice. I could go on about Chicago’s beautiful North Shore. The great communities, excellent school systems, close proximity to a world metropolis, scenic landscapes, stunning homes and having everything you need right at your fingertips are just a few of the things that contribute to the North Shore’s appeal. But, are all of these factors enough to make you or other buyers decide to start your North Shore home search? A recent article by Karl E. Case from The New York Times highlights a few key reasons why now is the ideal time to buy! “For people with a realistic version of the American dream, buying a house now can make a lot of sense.. Think of it as an investment. The return on that investment comes in two forms. First, you live in the house and so it provides you with a real flow of valuable services. The second part of the yield on investment is the capital gain you receive if the home appreciates and you sell. Gains are excluded from taxation if the property is a primary residence and the gain is less than $250,000 for a single filer or $500,000 for a married couple filing jointly. Four years ago, the monthly payment on a $300,000 house with 20% down and a mortgage rate of about 6.6% was $1,533. Today that $300,000 house would sell for $213,000 and a 30-year fixed-rate mortgage with 20% down would carry a rate of about 4.2% and a monthly payment of $833. In addition, the down payment would be $42,600 instead of $60,000. While demographic trends are uncertain, one important reason for the recent downturn is clear: The steady drip of bad news about the economy has sapped the confidence of buyers, sellers and lenders. And there is no understating the importance of expectations and confidence in this industry. The housing market has never been a better bargain, and sooner or later buyers will regain faith, inventories will shrink to reasonable levels, prices will rise and we’ll even start building again.” View the full article on The New York Times website. If you have been thinking about beginning your North Shore home search, but still have questions regarding the market; let me know! I’ve been involved with the North Shore Real Estate Market for years and can direct you in finding the best neighborhood and home to fit your needs and lifestyle. Buying a home in Chicago’s North Shore can be a stress free and smooth process, and I would be more than happy to guide you each step of the way! Buying a home in Chicago’s North Shore this fall can be a smooth process if you have an idea of what to expect. The fall is a great time of year to buy a home as it is the second busiest real estate season (with spring being the first), and there are homes going on the market each week. Fall in Chicago’s North Shore is a wonderful time of year with vibrant leaves of red, orange and yellow, crisp blue skies and fun fall activities that bring a spirit of warmth to the chilled air and provide a beautiful backdrop for homes in the North Shore. As many get back into the swing of school and settle into a routine after summer vacations, buyers and sellers alike begin to test the waters of the North Shore Real Estate market and all seem to benefit. Many sellers are hoping to get a quick home sale before the busy holiday season begins and buyers would be more than happy to move in before that time as well! If you’re looking to buy your dream home on the North Shore; the market is still leaning slightly in your favor. There are many beautiful homes in Glencoe, Highland Park, Winnetka, Northbrook, Deerfield or any of the other North Shore communities, and since there are a number to choose from, there are a few things to keep in mind. Be aware that you don’t have to play the bidding war game. If the price is at your limit and other buyers are bidding on this home, while it may be a great property, you can step away; there are many North Shore homes from which to choose. On the other hand, if you do find your ideal home; don’t wait to put in an offer. Because the North Shore market is busy in the fall, other buyers will be soon be vying for the home and a single day can make all the difference. Buying a home will require some leg work on your end. You have to be willing to take time each weekend to go to open houses throughout the North Shore communities. For a more focused approach, your North Shore Real Estate agent will be able to find guide you in homes that fit your style, needs and price range and can show you around the North Shore area as well! 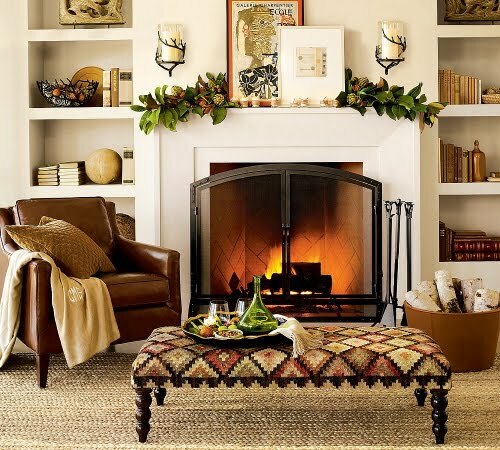 It will take time and dedication, but it will be worth it once you’re settled into your home and can cozy up in front of the fireplace just in time for the cooler weather. Plus, venturing around the beautiful North Shore communities with leaves crunching under your feet as you visit available homes gives you another reason to enjoy the outdoors this season. If you have any questions about Chicago’s North Shore market, or would like to set up a time to visit any of the available North Shore homes; please let me know! I’d be happy to show you around and help you in the home buying process. I look forward to hearing from you soon! Experience the Rich History of Northbrook! Each of the North Shore Chicago towns such as Waukegan, Northbrook, Highland Park, Glencoe and Deerfield are unique in their own way. If you are thinking of buying a home in a North Shore community, you’ll want to read about or experience each area to see which one has the atmosphere and lifestyle for which you’re looking! As they say, “location, location, location!” However, I truly feel that no matter which of the wonderful places you choose on Chicago’s North Shore; you can’t go wrong! The town that I would like to feature this week is the quaint area of Northbrook. 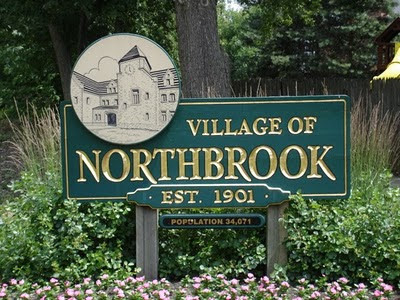 Spanning just thirteen miles, this community, which was settled in 1843 as the Village of Shermerville, was incorporated and renamed Northbrook in 1923. Walking through the downtown area and surrounding streets, you feel a rich sense of history and that Northbrook has something special to offer! Of course what would a historic town be without a Historical Society? The Northfield Inn, built 1849 and home to the towns most delicious chicken dinners and lemon cream pies, was renovated into the Northbrook Historical Society and History Museum in 1975. As an active and vibrant society, this Northbrook favorite features events and special museum highlights throughout the year. To really experience the history of Northbrook and to get to know the community better, the society is hosting The 32nd Annual Shermerfest which will be held this Sunday, September 19 from 12-4pm! This event will feature live music, food, a silent auction, a magic show for the children, prize drawings and much more! More information is available on the Northbrook Historical Society and History Museum’s website. Whether Northbrook is where you are looking for a North Shore home, or if you would like to view any of the beautiful homes for sale in Chicago’s North shore; let me know! I enjoy showing people the various communities around the North Shore area and have years of experience in Chicago’s North Shore Real Estate market! I would be happy to set up a time to meet with you to discuss your needs and to show you around. I look forward to hearing from you! Highland Park Active Listings: There are a total of 419 properties actively on the market with the average price of $894,498 in Highland Park. Highland Park Sold Listings: 27 properties closed last month in Highland Park with an average sales price of $626,519 the average time on market for these properties was 129 days. Deerfield Active Listings: There are a total of 240 properties actively on the market with the average price of $554,089 in Deerfield. Deerfield Sold Listings: 14 properties closed last month in Deerfield with an average sales price of $355,629 the average time on market for these properties was 91 days. Northbrook Active Listings: There are a total of 505 properties actively on the market with the average price of $609,702 in Northbrook. 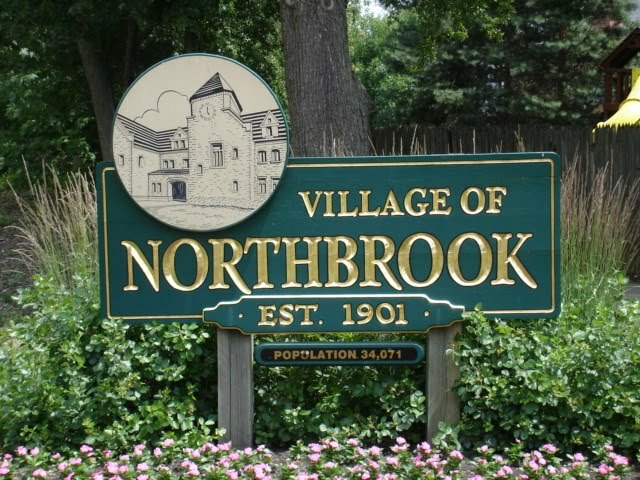 Northbrook Sold Listings: 31 properties closed last month in Northbrook with an average sales price of $394,766, the average time on market for these properties was 106 days. Winnetka Active Listings: There are a total of 231 properties actively on the market with the average price of $2,088,892 in Winnetka. Winnetka Sold Listings: 29 properties closed last month in Winnetka with an average sales price of $1,331,310 the average time on market for these properties was 110 days. Glencoe Active Listings: There are a total of 128 properties actively on the market with the average price of $1,981,931 in Glencoe. Glencoe Sold Listings: 10 properties closed last month in Glencoe with an average sales price of $1,016,950, the average time on market for these properties was 98 days. 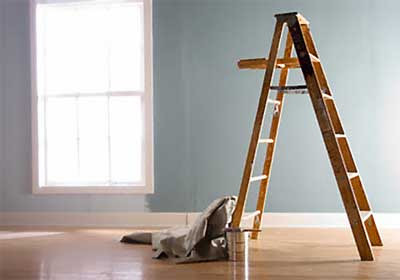 Boost Your North Shore Home's Value with these 5 Home Improvement Tips! Owning one of the beautiful homes in the North Shore area is a great investment. Whether you’ve chosen Highland Park, Glencoe, Deerfield, Winnetka, Northbrook or any of the other great areas of the North Shore, you know you are in a quality community! From educational systems, to local events and from excellent dining to everything at your fingertips; Chicago’s North Shore is a great place to live. If you’ve been a resident of the North Shore for a while, you may be thinking about ways to keep your home up to date and in top notch condition. Or, perhaps a job transfer or finally being able to buy your dream home is causing a need to sell your home. Either way, as a homeowner, you want to boost the value of your property! Below are five ways to enhance your home’s value and, while they may seem small, they can do wonders for adding to the quality of your North Shore home. 1. Interior Paint- A fresh coast of light paint can make all the difference for your interior walls. If choose colors that are too dark, the room will seem smaller and closed off. 2. Flooring- Well-maintained flooring can set the stage for your entire home. Whether you need to replace old carpet or wood flooring or simply clean or refinish the flooring; you’ll notice that flooring will make a noticeable. 3. New Windows- Upgrade old single-pane windows, can be drafty and ineffiecient, with Energy-Star quality windows. You’ll save on energy bills along with possibly qualifying for a federal tax credit. 4. Landscaping- Take a good look at your yard. Are there old, dying plants that need to be removed? Do your shrubs need to be trimmed or uprooted? Make sure your flower beds are edged, weeded and mulched for a well-manicured look. Fertilize the lawn and keep up with mowing and weed eating on a regular basis in the warmer months. 5. Final Touches- If your home appears dull from the outside, adding a quick touch of paint to the porch, decorative beams or windows frames can give it the facelift it needs! Powerwash or clean off any exterior brickwork or concrete. I hope these tips are helpful as you spruce up your North Shore home! If you are just beginning to look into selling your home and don’t know where to start; please let me know. 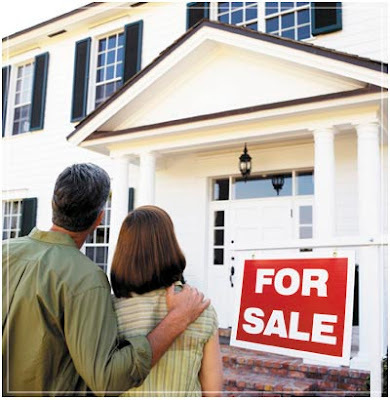 I can help you along each step of the home selling process as it can sometimes be overwhelming. I want to help you get the most value from your home and have years of experience in the North Shore Real Estate market to help you reach your goals! Feel free to contact me anytime. I look forward to hearing from you!